When Megan Griffiths started working on a film about Richard Ramirez, better known to the world as “The Night Stalker” after terrorizing the greater Los Angeles area during the early 1980s with a series of break-ins, rapes and murders, she quickly discovered that she wasn’t alone in her fascination with the criminal sociopath. That lurid intrigue is certainly a part of what makes Griffiths’ fourth feature as a director so compelling, but it’s how the writer/director upends the traditional narrative about the predators among us and their prey that is so gripping, giving glimpses into the evolution of a killer through vignettes told about Ramirez’s young adult years and introducing a fictional character Kit (Bellamy Young) to pay a visit to San Quentin to interrogate him in his later years (played by Lou Diamond Phillips) in order to secure the release of her own clients in Texas, yet winds up doing a more thorough investigation of herself. In taking the creative liberty in which she also places Kit as a former resident of Glassell Park where the psychic scars of Ramirez’s reign of terror run particularly deep, Griffiths repositions the spotlight so as not to let Ramirez enjoy it, but to give it instead to the more interesting story of those who look to reclaim the security and confidence that he took from them even after some degree of justice was meted out by the courts. Although Griffiths continues to surprise with her choices in material, capable of both low-key slices of life such as “The Off Hours” and “Lucky Them” and pulse-pounding thrillers like “Eden” and her latest, what remains a constant is her ability to resist easy tactics to engender sympathy for her characters and instead empower them through their wits and self-discovery, her heroines often going through a meticulous process of coming to understand their situation in order to transcend it. The results have been triumphant, both for the characters and audiences, with “The Night Stalker” being no exception, and graciously, Griffiths took a break from her own voracious consumption of movies at the cinema bacchanal going on right now in her hometown to talk about her personal connection to the subject, building the film around tense jailhouse tête-à-têtes between Kit and Ramirez, and filming in locations where some of his real life exploits happened. I was talking to my producer Alisa Tager, and she mentioned that a friend of hers had given her this biography of Richard Ramirez. I stopped in my tracks, because I grew up in Riverside — I was 10 years old in 1985 and was very aware of Ramirez — so I was like, “The Night Stalker, Richard Ramirez?” Like anyone who was in Southern California that year, I was pretty sure he was going to come through my window any given night. He was the personal bogeyman. So we started talking about it and what an approach could be. I didn’t really want to follow Ramirez around on a murdering spree — I was more interested in taking more of a humanistic approach and trying to figure out what made him into the person that he became, so we got excited about that idea and I went off and wrote the script. How did you end up finding your way into the story? Was Kit in some way a surrogate for yourself or the audience? I don’t consider myself to be particularly aligned with Kit. There are details about her childhood that I took directly from my own life in Southern California, but I think everyone to an extent is morbidly fascinated with characters like Ramirez and this is a bit of a hybrid movie. Everything about his personal history is based on information from the biography, and [everything about] Kit and the case that she’s working on — the El Paso murderers that are on death row — that’s all fiction. When I was starting out the process, I just felt like, if I could do any sort of approach to this material, I would want to ask him, “Why?” For me, when there’s someone who does things that are this incomprehensibly terrible, I want to understand it because I don’t think it propels us forward to just write it off as, “That’s something bad that happened and there’s no explanation for it.” I think you can dig in, especially with Ramirez, [to find] he had such a high number of traumatizing things happen to him that it does explain him a little bit. I’m certainly not justifying any of his actions, and many people go through traumatic things in childhood and overcome it to become perfectly non-violent members of society, but he did not. He’d been dead for a year when I started this, so it was fairly fresh, and what surprised me was that I didn’t hear that he had passed away. I thought that would have been bigger news when it actually happened, so I figured I would create a female protagonist surrogate for people who were curious about him. Then she evolved to become a parallel with Ramirez, where he is someone who was very damaged by childhood trauma and it changed the course of who he was, and she becomes affected by trauma that is partially due to Ramirez himself, [although indirectly]. Her character is designed around the idea that we all are shaped by these things that happen to us over the course of our young lives, and we can have patterns that are really set during those years. Were crafting the prison conversations between the two of them difficult where you’ve got to fold in all this true information and express opposing world views while making them feel natural? It’s interesting because when trying to figure out Ramirez’s voice, there wasn’t a huge amount to go on. There’s some footage from when he was in court — and his trial lasted five years — so there’s various things from that period and he’s got a couple of jail interviews, but there’s not a lot. But in the stuff that you do hear, you can tell that he did a lot of formulating of his thoughts when he was away from the public, and then when he comes into the public and someone would ask him a question his answer would sound very scripted. That felt like such a part of him, because he wasn’t formally educated — he dropped out of high school, but he was a big reader and I think he liked to sound intelligent — so he would use words that sound a little bookish, so [I tried] to allow that to be part of it, and be okay with the fact that he’s supposed to sound like he’s scripting himself in certain moments. Hopefully, that falls away a little bit over the course of it, though as he and Kit actually start to connect a little bit and talk. Then, from [Kit’s] perspective, she’s a pretty powerful woman at this stage, but she’s coming in as someone who was terrified by him at a turning point in her life and still has to confront this reflexive fear and act like she’s fine in the conversations, so it was a challenge to work all that stuff in, but the actors handled it beautifully and rose to the challenge. Where did you shoot the prison stuff? We shot the entire movie in Southern California. The great thing about LA is that nothing ever dies, it just turns into a filming location and that prison — Sybil Brand — used to be a women’s prison. I think Squeaky Fromme of the Manson Family was a famous resident and it doesn’t house prisoners any more, but now that I’ve shot there, I see it all over the place in movies and television shows. It’s amazing. We thought we might not get it, and we were really counting on it because it had everything we needed. It functioned as San Quentin, it functioned as the Texas prison. It had all these different color palettes and areas and we set up shop there for a week-and-a-half. That [scene] wasn’t designed to take place there, but when we were scouting the location, I moved that scene there because I thought it was such a visually evocative space. The guard who was giving us the tour was telling us that that cage is above the walkway so that when [prisoners were] being walked to their cell, no one could just jump over the wall and commit suicide. I just liked the idea of the moving shots and [the two of them] looking through the barrier at each other. Was this like two different shoots for you? One inside the prison with Bellamy and Lou, and then one outside with the younger cast? Yeah, I only had Lou for seven out of our 22-day shoot and Bellamy was doing about half of the shoot, because she had a lot of things outside of the prison, and their week [together], where we were shooting all those conversations, was a much easier week for the crew because we were in the same space. It was almost like we were watching a play — the actors would come in with 12 pages of dialogue memorized and just go through it over and over. It was so impressive what they were able to do in those scenes. Then there was all these other scenes where we were shooting 1985 Los Angeles all over the place — we actually shot a lot of the flashbacks before we got to the part where we were shooting with Bellamy and Lou — so we started the shoot with these younger actors, who I loved too. Did you actually shoot in any of Ramirez’s old stomping grounds? Yeah, the flashback where Richard is captured by the mob of citizens, that’s based on something that really happened and we shot on Hubbard Street on the same block that he was actually captured. The [residents] did figure out who he was when his face was on the cover of every newspaper, and when he went to a news stand, he saw his own picture and knew that he had been found out, so he just started running. There were people [still living] in that neighborhood who were part of the chase. 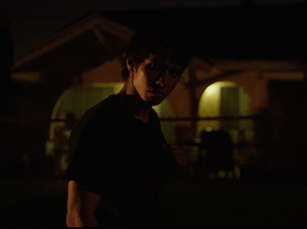 Two of our extras [in that scene] were 18 and 20 in the actual day that Ramirez was captured and their dad was one of the first people who started chasing Ramirez when they saw him try to carjack their neighbor, so they started chasing him thinking that he was just a guy who was robbing their neighbor, not knowing he was Ramirez. Then everybody started chasing him. Another guy grabbed a metal pipe from his yard and struck Ramirez, and everybody just stood around him until the cops came. It was a pretty remarkable story and we really wanted to capture it. We went to some great lengths to have authenticity in that scene, shooting on the street with some of the same people and the Mustang he tries to steal is literally the [same] Mustang he tried to steal that day. They towed it back to the neighborhood for us. The neighborhood was just really into it, and everybody was out in the streets and hanging out. We ended up renting an ice cream truck to come and give free ice cream to the neighborhood because there were all these kids running around. People were getting their pictures taken with our younger Ramirez, who’s such a dead ringer for the actual Ramirez. It was a really, really hard shooting day because there was a lot to get — a lot of running and stunts and it was really hot — but it was one of the cooler days of shooting. Once again, you also find these amazing colors. Was there a specific scheme in mind before going out to shoot this? Definitely. There’s always a color palette that I come to with conversations with the production and costume designers and it’s usually an instinctual thing. In this case, we wanted the prison to feel institutional. Luckily, there’s not a lot of prisons that have bright colors and we delineated — we had the Texas prison was more yellow, and San Quentin was all these greens and blues. Then for the ‘80s, I didn’t have a specific color [in mind], but the idea was to have a lot of color but all really faded out [because] when you look at a lot of movies from that era, whether or not that’s how it was depicted because it was shot on film and then those films are now older, I just wanted to evoke that same feeling as if it was shot in 1985, so our directive for all of the flashbacks was that neutral [tone] was brown [as opposed to being black or white] and then there were a lot of other colors that were muted. We also wanted to find streets where they had sodium-vapor streetlights instead of the new LED ones, which are such a dead giveaway you’re not shooting in the past. It’s a tetchy thing, but in the past, when you’re driving down the street at night, the streetlights were all these orange-colored sodium-vapor lights and now energy efficiency has moved everything towards LED, which are much bluer, so when you see it in a movie, it feels more modern. It might be subconscious for most viewers, but we got really particular about where we were shooting to retain that right look for the exteriors in the flashbacks. Did having the experience of “Eden” become valuable in making this? It’s not exploitative in spite of the potential of the subject matter. If I were going to pair up things in my filmography, this is the one that was informed by that one [because] they have some elements in common. Something I tried really hard to do in “Eden” was to imply a lot of the sexuality and violence and trust the audience to fill in the gaps and take it to places that were probably more uncomfortable than things I could actually depict. I really liked the way that worked in “Eden,” and I think audiences did too, so I wanted to apply that to this movie and have it be something that you never have to feel like you have to cover your eyes, but still be affected by what’s happening. It’s unsettling more than graphic or horrifying. What’s it like to be premiering in Seattle? This is the fourth film in a row I’ve screened at SIFF, and I’ve never had a bad experience showing a film in my adopted hometown. The audiences here – as a local, they’re great, but just in general, it’s known as an audience festival. Seattle is understandably a big audience town because a lot of the year we want out of the rain and to go watch a movie, so there’s a lot of smart cinephiles going to see your movie at the festival and it’s a great place to unveil something and show it to people who get it. 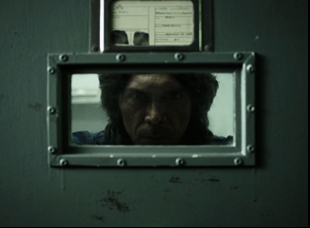 “The Night Stalker” will play at the Seattle International Film Festival on June 4 at 5:30 pm at the SIFF Cinema Uptown and June 5 at the AMC Pacific Place at 1:30 pm. It will premiere on Lifetime on June 12th at 9pm ET/PT. Review: Na Hong-jin Lets It All Out in the Preposterously Entertaining "The Wailing"
L.A. Film Fest '16 Interview: Maggie Kiley on the Great Troubles That Go Into "Caring"
Pingback Cinematographer Quyen Tran on the Minute Details of "The Little Hours"
Pingback Review: A Cold War is Told with Great Warmth in the Sensational "Sadie"